According to Feng Shui, the bedroom is the most important room in your apartment or home; the utmost private space to escape and relax. 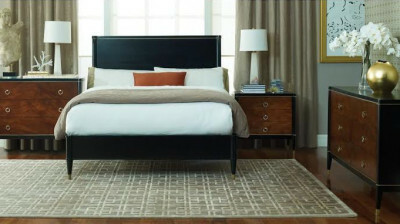 If you want to practice Feng Shui, the bedroom is a perfect place to start. We spend the most time in our bedrooms, more than any other room in the house, so it makes sense that our bedrooms usually accumulate the most clutter as well. The good news is that you don’t have to get rid of much to achieve proper Feng Shui in your bedroom; you just need how to learn how to smartly and creatively store your belongings. We’ve compiled a list of four easy storage solutions you can start using today in your bedroom, and you’ll be on your way to achieving Feng Shui in no time. Keeping your clothes neatly folded in dresser drawers is a great way to avoid excess clothes being thrown about the room. 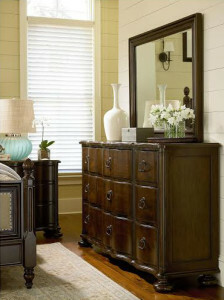 Dressers and chests also help you avoid an overstuffed closet, and are a great storage solution for those that have an ample wardrobe. LuxeDecor has large selection of dressers and chests that make it easy to store your clothing out of sight and out of mind. If it’s more along the lines of shelf storage, make sure the shelving has doors to conceal one’s tasteful garments when not in use. 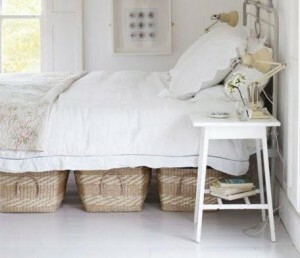 Placing a trunk or a storage bench at the foot of your bed is another great alternative. Storage benches easily hide clutter, and give your space a sleek look. 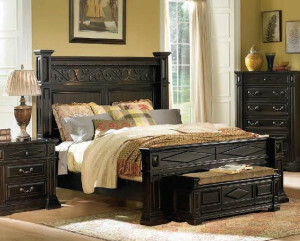 They are a great place to store items that you’re not sure where else to put, and your trunk or bench can serve as extra seating when you have guest come into your bedroom. 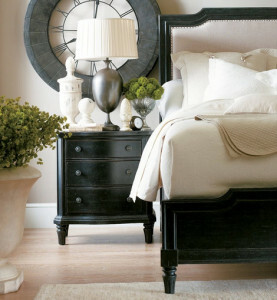 If you are going to have nightstands in your bedroom you should place two nightstands on either side of your bed. Flanking (and ideally matching) nightstands give your room a sense of balance and it tells the universe that you are ready to welcome a partner into your bed, adding romantic energy to your bedroom. As a storage solution, flanking nightstands are a great way to store books or other reading materials you use before bed. Nightstands with concealed storage, such as drawers and cupboards, are the best. The bedroom is the ultimate place for rest and relaxation, and having spare clutter around attracts negative energy to the space, and no one wants that. If you’re in need of some extra storage and better chi, use the tips suggested above. You’ll begin to notice a change in your environment in no time. This entry was posted in Bedroom Feng Shui, Texture and Shape and tagged basket, bed, bedroom, bench, bin, chest, chi, clothing, clutter, concealment, doors, drawers, dresser, environment, flow, garments, linens, LuxeDecor, nightstand, relaxation, rest, Richard Dawkins, romance, seating, Sherman Oaks, shoes, storage, storage bench, storage solutions, trunk, wardrobe. Bookmark the permalink.